The note has since been deleted from Billboard’s story titled, “Grammys 2018: The Party Diary.” So, this one is still a mystery. It’s possible that this wasn’t supposed to be overheard. Lauren has yet to make a comment on the whole thing, but we have a feeling that Harmonizers might be visibly upset by the news. Switching labels – even though both Columbia and Epic are both under Sony – could provide some division amongst the girls. Since Camila left, they have all done their solo projects. However, none of them have released a full-length solo album. Why? Because it’s a lot of work! To take on an album by yourself as well as put your full effort towards the girl group seems damn near impossible. But, Lauren works really hard and if this IS true and she wants to keep the group together, then we have no doubt in our minds that she will find a way to make it work. She continued, “It’s really cool because we’re branching out to creatively discover ourselves, because we never really got an opportunity to do that since we started this when we were…I was like 16 when I started. It’s cool to be able to give each other that space to really explore ourselves individually and grow.” Whatever happens, it seems like the Fifth Harmony girls will always have each other’s backs. But, we do have to say, the reporter who overheard this little snippet is KWEEN. 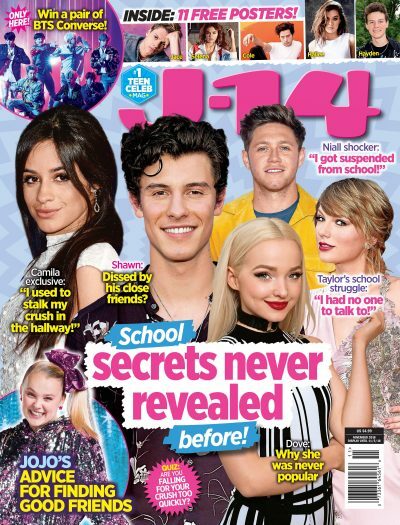 The insider knowledge might be terrifying, but exactly what we needed to keep up with behind the scenes secrets of this girl group! Watch Fifth Harmony Throw Shade at Camila Cabello on Stage!